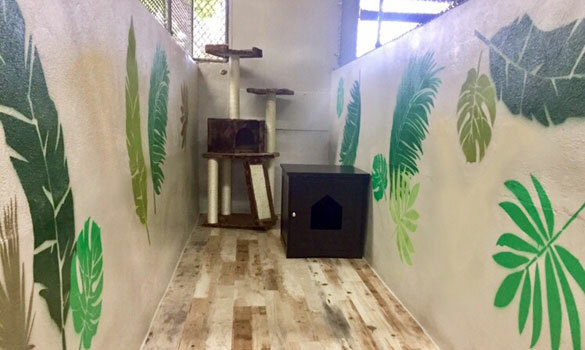 From cats and hamsters to turtles and snakes, your pet will have a safe place at Holly Acres. We know that our feline friends prefer a slightly quieter environment than their canine counterparts. Therefore, We have designed a 1200 square foot building, dedicated especially for their individual needs! 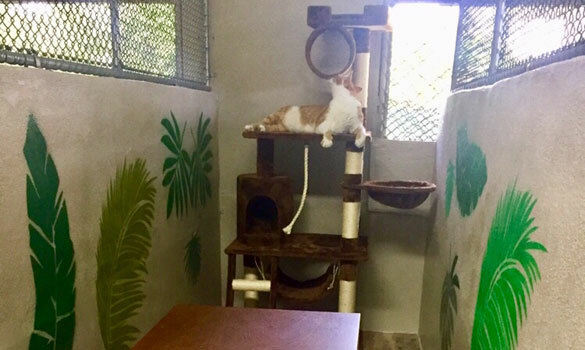 Our peaceful and private cat runs are equipped with spacious cathouses, 3ft-6ft jungle gyms and natural sunlight, creating a relaxing stay for your kitty. Cats are boarded individually in over 250 cubit feet. This HUGE space has tons of room to roam, climb and explore their own personal jungle. Our prices include a premium diet of Pro Plan Savor dry formula and various flavored canned foods, or you're welcome to provide your own special diet. Whether you're away for a few days or for a few weeks, Holly Acres is the safe choice for boarding your exotic pets. To minimize any transition stress, we encourage you to bring in your exotic pet's own cage or tank, bedding, food, toys and anything else they may need during their stay. We'll take the time to understand the needs of your unique pet and give them the love and attention they require. We have experience with birds, ferrets, guinea pigs, hamsters, hedgehogs, rabbits, reptiles, sugar gliders, and turtles.